The Luxe is a novel in what I consider the classic historical romance style. It doesn't have a moral or lesson to be learned. It isn't socially relevant. It is simply a big luxurious story with forbidden romance, scandalous secrets, true love, betrayal and family loyalty. 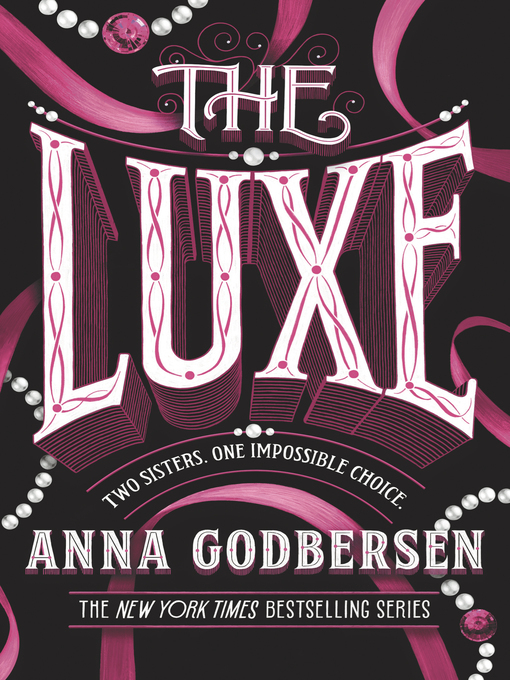 The Luxe is the story of the Holland sisters who are daughters of a wealthy, aristocratic family in New York City. Older sister Elizabeth is at the brink of adulthood and ready to enjoy life as the most beautiful and privileged society girl of the day. Unfortunately there were a couple of bumps in the road. One was the fact that Elizabeth was in love with the family coachman (totally unacceptable) and then she is told that her family is on the brink of poverty following the death of her father. Now Elizabeth is expected to marry the enormously handsome and rich Henry Schoonmaker and turn her back on any kind of future with the poor stable boy Will Keller. At Elizabeth's side is her best friend/worst enemy, Penelope Hayes who just happens to be in lust with the aforementioned Henry Schoonmaker and will do anything to get him back. And then there is Diana Holland, Elizabeth's younger sister, who feels that she doesn't belong in her family and is looking for love in all the wrong places. The story gives a great glimpse of life at the turn of the 20th century in New York City with the glamour of high society and the struggles of the lower classes. There are clandestine meetings, betrayals, and schemes. Can Elizabeth marry Henry and keep Will on the side? What will Penelope do if she can't stop the wedding? Who will Diana find to fill the void in her life? If it sounds a little like a soap opera that's because it would make a great one. The Luxe is for entertainment and escapist purposes and serves those well. I enjoyed this book and am looking forward to reading the next in the series. Other Notables: Smoking and Drinking in line with this historical context. For more details about content, go to The Luxe on Parental Book Reviews. I read a little bit time ago and I gave 3/5. it's ok but the action in the book is slow and some things are foreseeable. Anyway, I want to read the next in case I like it more than this. I enjoyed this series overall - very decadent and great escapism. It did get a little silly towards the end of the series, but it was always good fun.